With the first days in a new year it is time to begin preparations for another Roller Hockey season. With the successes of 2016 to build on 2017 is looking like it will be one of our most successful years yet. In 2016 we introduced a few important programs; the Level 3 officiating program, Alberta power ranking program and Team Alberta Qualifier Tournament. In the fall the AMRHA executive and leagues met to discuss the groundwork for the upcoming season; the discussions and planning that occurred were so successful that the fall planning meeting will now occur annually. At this years AGM the leagues now have the opportunity to follow up those the promotional and advertising ideas and discuss their results. Additionally we will discuss provincial tournaments, new leagues, budgets among other things. 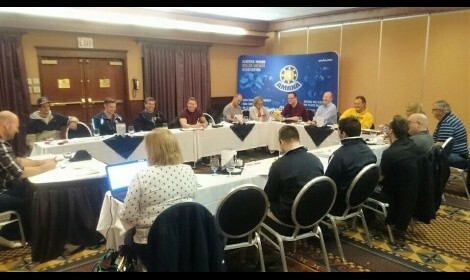 With all this communication and cooperation amongst the local associations the future of the sport in Alberta is looking bright.